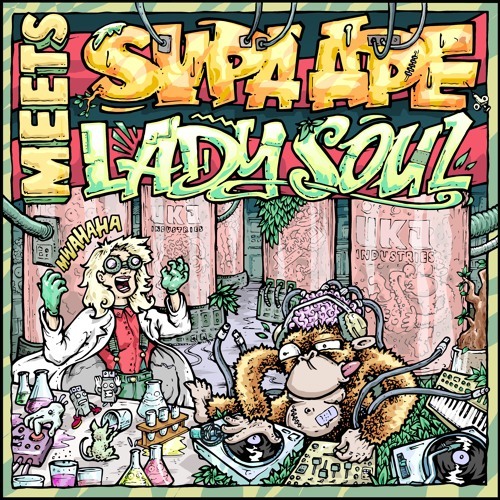 UK Jungle heavyweights Supa Ape and Lady Soul join forces to create a fiercely unique live act, performing tracks from their upcoming collaborative EP ‘Supa Ape Meets Lady Soul’, as well as some of the freshest amen breaks on the planet. The pair joined forces in early 2017, and the success of their track (and subsequent music video) ‘Approach With Caution’ inspired them to work on four original pieces to be released in both vinyl and digital formats on the UK Jungle Records imprint. Together they possess a musicality, depth and a raw energy scarcely found within the jungle / dnb scene, and deliver a live performance unlike anything you have ever heard. Pre-order Link: on Bandcamp here.